Increasingly, marketers are looking to integrate their digital marketing efforts in order to get better campaign performance, while also benefiting from workflow efficiencies for their teams. To celebrate and learn from the successes these teams are seeing, we launched with DoubleClick, highlighting stories and perspectives from marketers and agencies about how integrated platforms are changing how they work, creating bigger impact, and fueling better decisions. We kicked off the series with a recent study, “Adding Data, Boosting Impact,” where the Boston Consulting Group found that marketers who use an integrated platform to power their programmatic buying are seeing major uplifts in performance and engagement. The study, now published on Think with Google, identifies five steps marketers should take to achieve these uplifts. And throughout the series, we highlighted specific marketers and agencies who realized similar gains. Like Neo@Ogilvy, and how they freed up 40 hours per week with more streamlined workflows, and how Kia improved their CPA by 30% with powerful attribution tools. We saw how T-Mobile eliminated static backup images by 85% with HTML5, and how the Kellogg Company increased their ad viewability rate to over 70%. Dive in to learn about these and many more success stories. Today we wrap up the series, but stay tuned for more with DoubleClick customer spotlights in 2015. Report purchase details in DS: Learn which products in your inventory make up your sales with purchase detail reports. Enable this feature by configuring your Floodlight transaction tags to report on revenue, cost, and profit for individual products sold in each conversion. DS reports can also show which campaigns (including keyword and Shopping campaigns), ad groups, and keywords contributed to the sales of those products. Finally, you can segment your reports using any attributes from your inventory feed. Share reports: Share a link to your executive reports with clients, executives, non-DS users, or anyone that you want to see how you’re performing toward your advertising goals. Resize charts: DS has added chart resizing to the list of formatting options available in executive reports. With a single click, you can expand or contract a chart horizontally or vertically. Bid strategies: Set a minimum ROAS constraint: In addition to bid limit and position constraints, you can now set a minimum ROAS constraint. For bid strategies that are focused on maximizing revenue, set the minimum ROAS constraint to optimize bids and keep the marginal ROAS above a target threshold. Apply, remove, or change sitelinks for AdWords campaigns in the DS UI: If you need to apply sitelinks to several campaigns in your AdWords account, you can now use the DS UI in addition to bulksheets. Use the DS API to report on AdWords location extensions: If you've set up upgraded location extensions in DS, you can use the DoubleClick Search API’s Reporting Service to download adGroup, campaign, or feeditem performance metrics for location extensions. Note that reports downloaded from the DS API include only location extensions that have recorded at least one impression during the report's time range. Kellogg Company is a century-old marketer with some of the world’s most trusted brands. Kellogg’s vision is to enrich and delight the world through foods and brands that matter, and digital marketing plays a key role in helping them move consumers through the path to purchase. 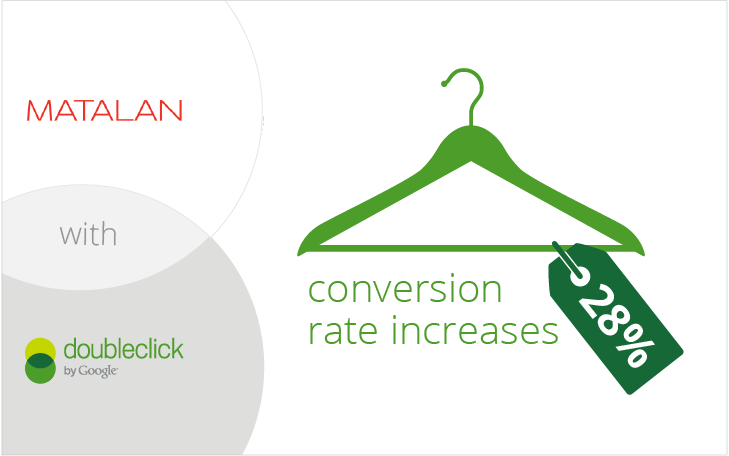 The cereal powerhouse adopted DoubleClick Digital Marketing for programmatic buying. Using the unified platform, they were able to gain a holistic view of the consumer, deliver the right message to the right person, and ensure that their digital marketing efforts delivered maximum effectiveness. Formulating the right key performance indicators (KPIs) for their digital marketing campaigns was vital in reaching Kellogg’s goal of driving offline sales. And for this, the right digital measurement tools were critical. 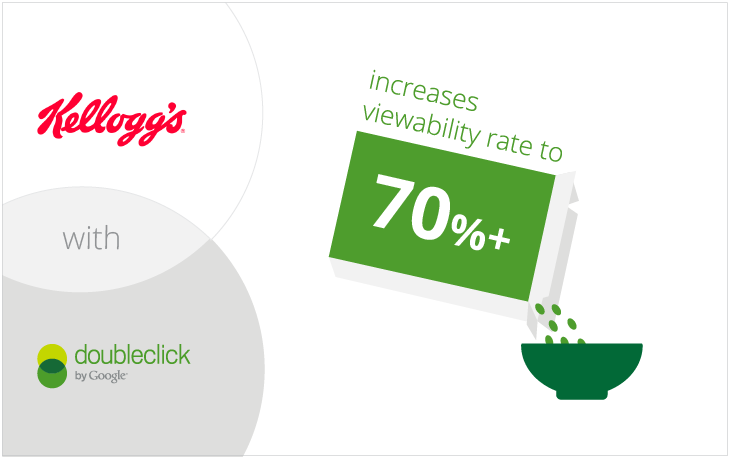 One of Kellogg’s main KPIs was ad viewability, and with programmatic buying and measurement solutions from DoubleClick, Kellogg’s viewability rate increased to over 70%. “It's amazing the impact you can have on a measurement like viewability, when you focus on it, plan for it, and optimize for it,” Fetters said. DoubleClick solutions have helped Kellogg refine the targeting and frequency of their digital campaigns, and the team is confident that with DoubleClick they’re reaching the right consumer and managing their campaigns more effectively. The food company is now two to three times better at ensuring their impressions go directly to the consumers they most want to reach. To learn more about the team's approach and results, watch the video below and check out the full case study here. With 2014 drawing to a close, we’re getting excited about what’s ahead in the new year. We’ll be ringing in 2015 at the International CES (Consumer Electronics Show) the first week of January. If you’re planning to go too, we’d like to invite you to come by C Space, the new destination at CES for advertisers, publishers, agencies, and content creators. A lot has changed for marketers over the years. But one thing remains constant: the need to connect with and move an audience in the moments that matter. Brand marketers are beginning to truly embrace programmatic buying to do just that. The challenge is, many marketers don’t know where to start in order to successfully embrace programmatic for their brand campaigns. Our guide includes seven case studies with brands including Nike, KLM, Talk Talk, Kia, GOL, Burberry, and Kellogg so that brand marketers new to programmatic can learn from their peers. We hope this guide can help you realize the ultimate promise of advertising in the digital age: to effectively run highly relevant, creative, and measurable campaigns, at scale. To make the most of programmatic buying, we invite you to explore the five steps to programmatic success. Library, Groups, Expandables… oh my! Google Web Designer spruces up for the holidays. Today, we are excited to announce a new local library and new grouping functionality in Google Web Designer, which make it easier to add, edit, manage and group creative assets. We’ve also spruced up many of the components in the gallery, which build on the updates we launched in August, to help designers and developers make interactive and engaging HTML5 ad units for cross-screen campaigns. Add, edit, and manage your assets in one place in the new local library: Add assets from the stage or within the library workflow, drag and drop from your desktop, or use the new import dialogue under File. Then, customize your folders and organize your assets to your liking. Group elements together: Once you group elements together, they are stored in your local library. You can drag and drop groups onto the stage and edit them all at once. Build ads that expand in all directions: The “view mode” will allow you to see the expanded state as an overlay, and move it to the desired expanded position. Learn more. New audio component: Provides functionality for autoplay, loop, mute, etc. for audio files. YouTube autoplay feature: You can now use the YouTube component to build a masthead that automatically plays the embedded video. Snap to ‘n’ frames: advance by a specified number of frames in the swipeable or carousel gallery (i.e. 3 images show on the first page of gallery, swiping moves to the next 3). Learn more. SVG (scalable vector graphics) support: Google Web Designer now supports uploads of SVGs and provides a set of basic features, including 2D editing, cut, copy & paste, and selection tool support. Share your awesome Google Web Designer ad units with us! Submit them to the Rich Media Gallery and we’ll promote them to the ~35,000 people who view the site each month. If you don't yet have Google Web Designer, you can download it for free here. P.S. It may take a couple hours for the updates to show up in your version of the product.